Sprinkler Wire Repair - Lightning, Chipmunks and Shovels, Oh My! 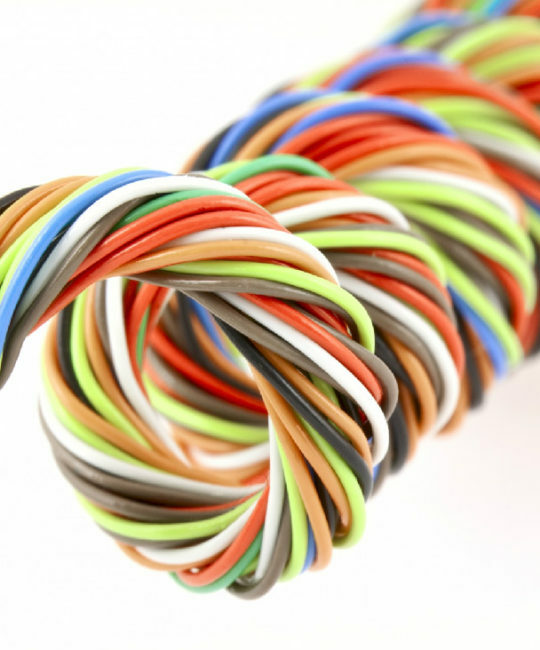 Seeking Sprinkler Wire Repair is a circumstance every homeowner eventually faces. Everything buried in your yard is an invisible obstacle for landscapers, cable guys, painters, tree removal, stump grinders, termite spikes and home owner/gardeners as well as a likely target of lightning and chipmunks. Blue Sky Rain is the Repair Specialist and what’s more, also the Wire Locating and Sprinkler Wire Repair Specialists. Blue Sky Rain Technicians have Advance Training in Wire and Valve Locating, Each with a full compliment of Wire Locating and Fault Finding Equipment, Making Blue Sky Rain the Sprinkler Wire Repair Leader in Birmingham, AL. We also repair Landscape Lighting Wires. Every automatic sprinkler system has a controller, valves and sprinkler heads. The valves have wires that run underground from the yard back to the controller and each valve should be located in a valve box. Many times the grass can grow completely over, covering a valve box or dirt and mulch can hide a valve box from view making troubleshooting a sprinkler system more complicated. That’s when you need a company that has underground wire tracing equipment (and knows how to use it!) By transmitting a signal from the wiring at the controller the equipment can help locate missing valves and also locate breaks in the wiring that need repair. Once the broken wires are repaired and the valves located, Blue Sky Rain will complete the assessment and repair your Sprinkler System. 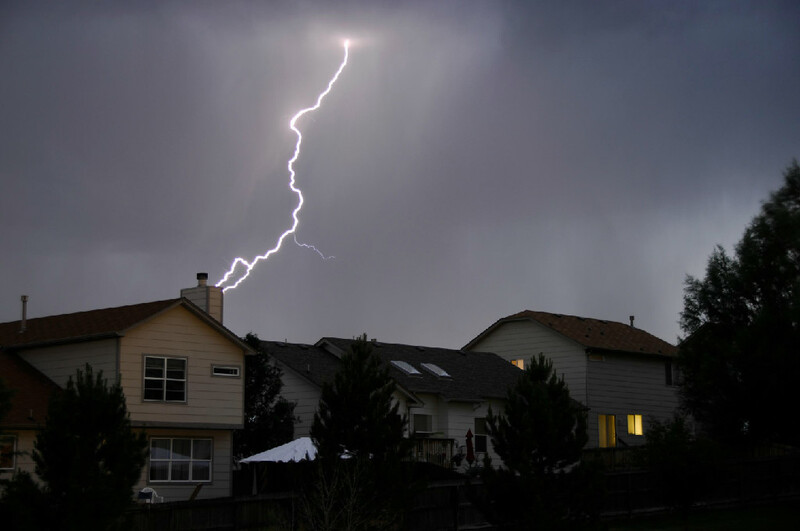 Lightning is normally associated with the summer months of June through September, but for your irrigation system, can be a concern year-round. More than 100,000 thunderstorms occur in the U.S. each year, with lightning striking more than 30 million points on the ground during that same period. Fire and being physically hit are obvious concerns when lightning is in your area, but even more common than fire damage is the electrical chaos resulting from severe power surges following a lightning strike. While a typical household normally will experience everyday flows of up to 220 volts, lightning voltage measures in the tens of millions. The insurance industry, however, estimates 6.5% of all property/casualty claims are related to lightning strikes. When lightning strikes, proper surge protection and grounding usually will spare a home's electrical system from complete destruction. Many of the residing appliances won't be so lucky. The speed and sheer magnitude of a strike can and will render many electrical systems useless, burning out circuit boards in less than a second. In ground automatic sprinkler systems are a likely target for lightning strikes. When most of us think about a sprinkler system, what comes to mind first are the hydraulics causing the pop up of those wonderful spray heads and rotors. What we don’t think about, because we don’t see are the many electrical components. Every zone has an electrical valve, which has a wire leading back underground to the controller, mounted in the garage in the majority of residential systems. The controller is plugged into a 110v power outlet. When lightning strikes a sprinkler system, or even a strong power surge, the system board can burn out of the controller. If that’s all the damage you have, consider yourself very lucky. Beyond that, the lightning can burn the insulation off the wires in the yard and damage the solenoids in the valves. And this looks crazy when you see it, but the water in the pvc pipe can actually boil and burst right out of the ground. Indirect damage is also caused when your large tree is hit by lightning. A fallen tree can damage the sprinkler system and the tree removal service company damages your sprinkler system with their heavy equipment. To repair the damage, first replace the board on the controller or the entire unit. You may want to use this opportunity to upgrade to a sprinkler controller with more features like cycle and soak or a remote control. Once the controller is replaced, do a complete and thorough run-through and assessment of your sprinkler system. Make sure that every zone is responding to the controller and every head is popping up. If you observe low pressure or puddling water, repair the leaks caused by the lightning strike. If any zone or all of them will not talk to the controller, you know you have a broken wire in the lawn. Hire a reputable company with experience in sprinkler repair and wire tracing and fault finding to come out with their equipment to find and repair your wires. If they cannot be repaired, they will be able to run new irrigation burial wire for you. The damage to in-ground sprinkler systems can occur when you are not using your system, during weeks with a lot of rain or in the winter. If your system does not work properly for you at the beginning of the growing season when you turn it back on for the first time and you are ready to water your landscape, it may be caused by a lightning strike from weeks prior and you may not be able to pinpoint when. If you suspect damage, it may be wise to repair it prior to the start of the growing season, as that is the time that irrigation companies are booked up the furthest out and you would not want to have to wait in a drought for the repair. In 2011, 26 people were killed in the US across 18 states. Last year, for instance, Alabama had no lightning-related deaths, while to date in 2012, there have been 2. So while dealing with the casualty to your property caused by lightning is a nuisance, try to keep it in perspective. Stuff can always be fixed. No matter how extensive the damage, it can all be repaired and good as new!